It is an opportunity to start over, close to beautiful beaches or the spectacular mountains, and year round spring-like weather in the Central Valley. Costa Rica is located on the Central American isthmus; bordered by Nicaragua to the north, Panama to the south, the Pacific Ocean to the west and the Caribbean Sea to the east. The country has a large number of national parks and nature preserves that supports an enormous variety of wildlife. 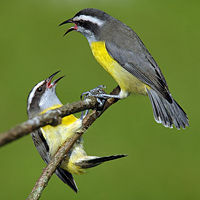 The variety of birds, in particular, is astounding: Some 850 species are packed into a relatively small area. More than 200 species of mammals, almost 200 types of amphibians and 220 species of reptiles inhabit these lands. It is very small country, but it is a land of natural wonders. San José is the capital and largest city. One of the good things about living or retiring in this country, is that it is very easy to develop a network of friends. Its people are very friendly and foreigners tend to gravitate towards each other when they live abroad. The excellent year-round climate is one of the main reason people come here to retire. Other factors which draw people to this country are its unparalleled beauty, stable government with no army or enemies, fantastic affordable health care, a lower cost of living and incredible lifestyle for less money. Over 800 miles of endless beaches and warm water; fruits and vegetables all year; good public transportation and has 1000s of activities to stay busy and happy. There is plenty of adventure for all retiring around this amazing country. Learn some Spanish. Community centers offer free Spanish classes or sign up for an online course. This country is one of the most progressive and stable in Latin America. It has a commitment to universal education and has encouraged technological development. Spanish is growing increasingly popular as a second or third language in a number of countries due to logistical, economic, and touristic interest towards the many nations which chiefly use Spanish as the primary language. No need to jump into retiring to a foreign country without first visiting, so plan a trip to Costa Rica , spend as much time as possible to get the real feeling of day to day living. Meet other Americans who already have discovered this tropical paradise where you can live comfortably for less than a thousand dollars a month. Discover how this country can provide the retirees with a high quality of life for a little bit of money. If you keep things simple and live within your means, you will realize that this country is an ideal place to retire. Make the move to retire and enjoy your retirement years in paradise. 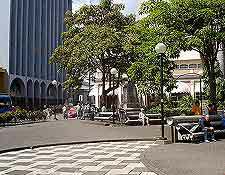 San Jose is the capital and largest city of Costa Rica, and is at the heart of Gran Area Metropolitana or GAM, located in the Central Valley. 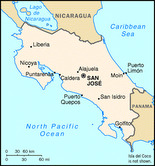 San José is the seat of national government, the focal point of political and economic activity, and the major transportation hub of this Central American. who live or are traveling abroad. Click here for any information you will certainly find useful.